It is a kind of high-speed blister packaging equipment and standard packaging machine that our company puts out latest by higher science and technology. The products have been appraised as the provincial science and technology accomplishments. Its punch frequency is higher and its capacity is large. 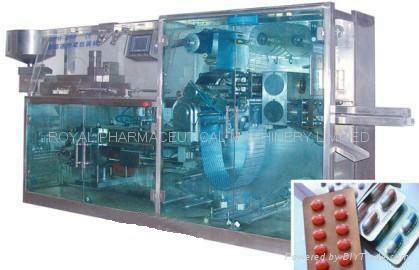 This model has more efficiency and lower cost, which provides the new choice for pharmaceutical industry medicine packaging. 3、 Cross punching without waste material (it can save the material for 15 ten thousand RMB), it is the packaging equipment improve by higher science and technology at present.